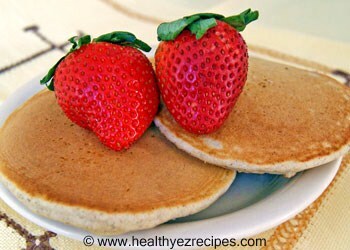 If you’ve tried buckwheat pancakes in the past and been less than impressed, then let me urge you to try these. 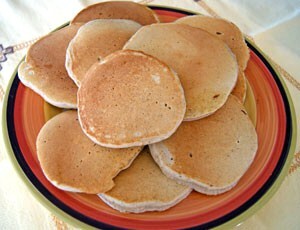 Sometimes pancakes made with other flours can be fairly bland and tasteless. Not so with these ones. These have ground almonds added to the batter which gives them a whole new level of flavor. Another trick is to separate the eggs and beat the egg whites. 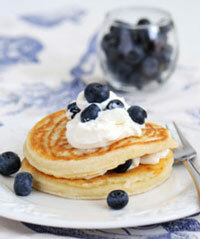 This gives the pancakes a light, fluffy texture. 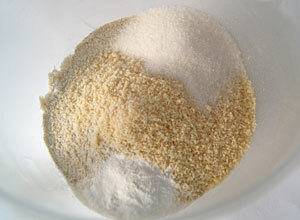 In a large bowl, combine the plain flour, buckwheat flour, ground almonds, sugar and baking powder. Stir lightly with a whisk to combine all the ingredients. Separate the eggs and set aside the whites. Put the yolks into a glass jug or bowl. Add the oil and milk. 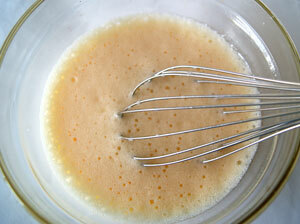 Whisk together until the egg yolks have blended with the other ingredients. 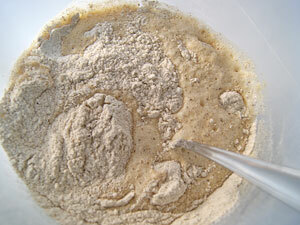 Make a well in the center of the flour mixture and add the egg mixture. 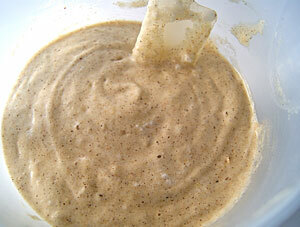 Gently stir until there are no streaks of flour left. In a clean, medium sized bowl, beat the egg whites with an electric mixer on high speed until they are stiff. Using a spatula gently fold the egg whites into the batter until just combined. This will add volume and airiness to your pancakes. Lightly coat a large frying pan with the cooking spray and place over moderate heat or you could use an electric fry pan or griddle. When the pan is hot drop about ¼ cup of the pancake mixture onto the surface and cook for 2 ½ - 3 minutes or until bubbles form on top. Turn them over then cook for about a minute on the other side. The bottoms should be golden brown. Remove to a plate and repeat with remaining mixture. 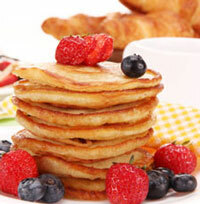 Pile on your plate and serve with a yummy pancake topping.